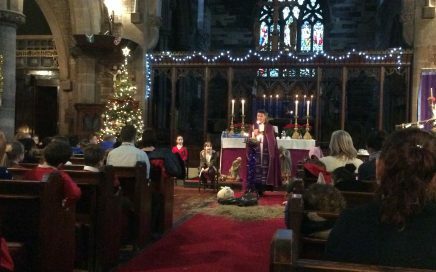 We had a number of events happening in the run up to Christmas to help us celebrate this special Christian festival. We visited church, we performed a Nativity and sang many carols and Christmas songs. 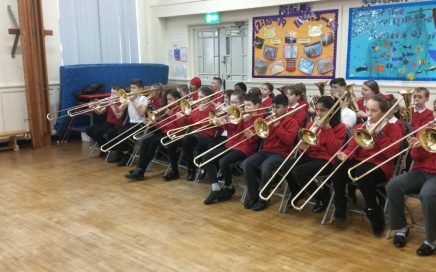 Our year 6 children performed their first concert just before Christmas showing off everything they had learnt since September. We can’t wait to hear what their performance is like later in the year. 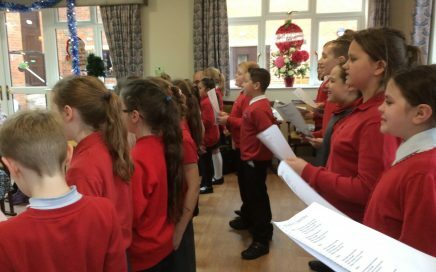 Our Christmas Choir performed a number of Christmas Carols and songs to the residents of The Limes Care Home in Fenton. The children enjoyed singing and the residents really enjoyed the performance and the conversations with the children afterwards. 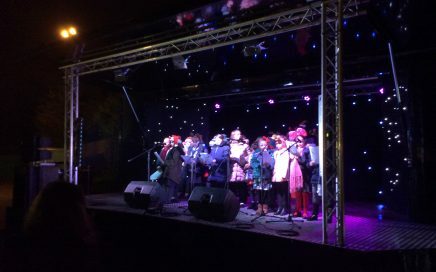 Our Christmas Choir performed during the switching on of the Christmas Lights in Fenton. 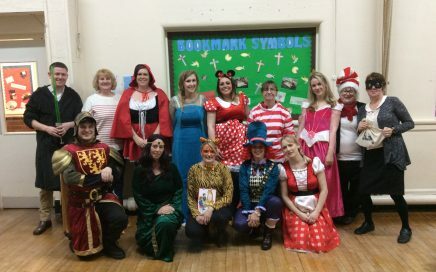 The choir sang wonderfully and really enjoyed performing to their family, friends and local community. 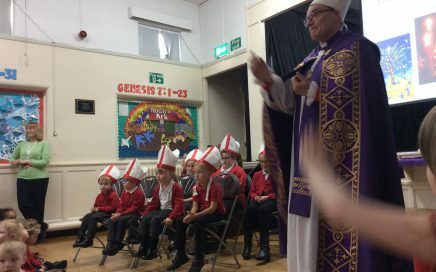 To help us celebrate the start of advent and Saint Nicholas, Bishop Geoff led a whole school worship with 8 Bishops for the day being elected by the school. It was a very special service for our own chosen bishops. Thank-you Bishop Geoff for taking the time to visit us again. 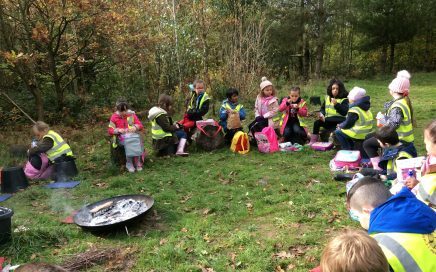 Our year 3 class had a fabulous day enjoying the outdoors at Silverdale Country Park. A great time was had by all children and they are really looking forward to their next visit. Our year head boy, head girl and a prefect participated in the Local Democracy Week event again. 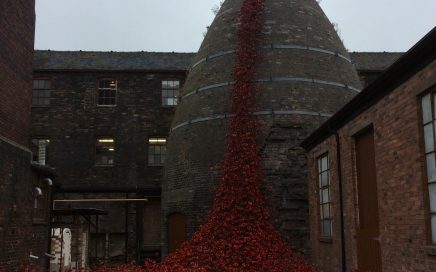 This is a great way of our children learning about democracy and why Stoke-on-Trent is such a great place to live. 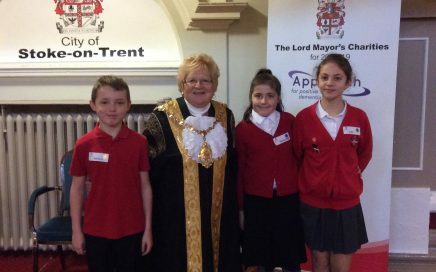 All three children thoroughly enjoyed the event and meeting the Lord Mayor. 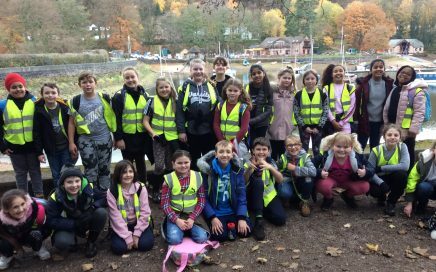 Our year 6 class, who are named after Rudyard Kipling, visited Rudyard Lake to enjoy some amazing autumnal weather and scenery. The day was not only great for being healthy but also gave the children an opportunity to discuss vocabulary that they could take back to school and use in their writing. As part of our PSHE work we participated in Road Safety Week. Our children took part in a road safety assembly and completed various tasks throughout the week. 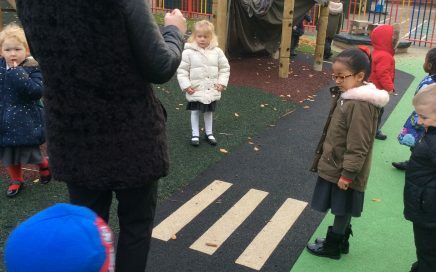 These are some of children learning how to cross the road safely with a member of staff pretending to be a car. The launch of Times Tables Rock Stars was a huge success. 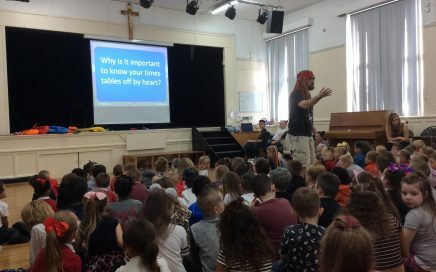 Staff and children dressed as rock stars and we had a fun filled day learning how the system works and practising those very important number facts.